The Layout page defines the arrangement and style of the page content. 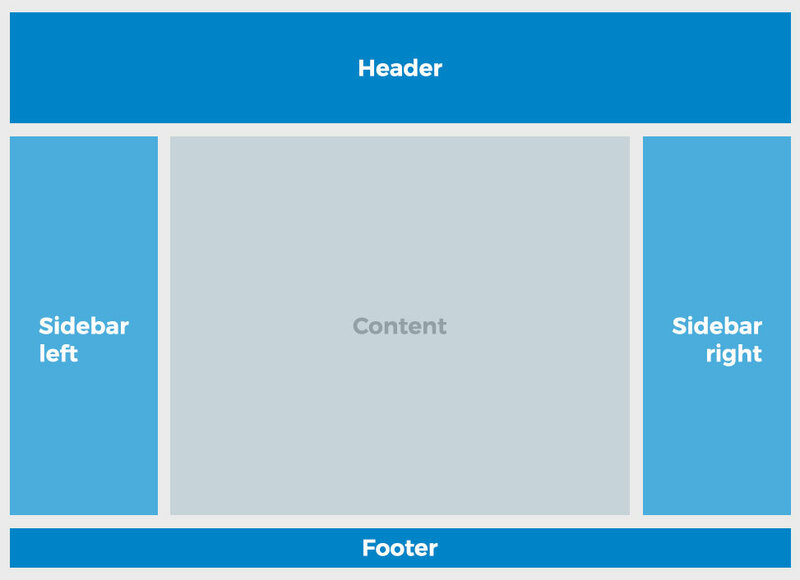 In myDESIGNER, you can create multiple user-defined layouts. Each view that you create can use different layouts. Note: You can create new layouts at any time during the creation of your project. Header – top section that can be used, for example, to display a logo, name, logged user, main menu, etc. Main Content – section displaying your views; it sits prominently in the middle of the page. Left/Right Sidebar – columns on both sides of the main content section; useful for displaying additional menus, pictures, etc. or can be used for control buttons and gauges. Sidebars can be visible or shown upon user action. Footer – bar spanning the bottom of the page. Note: To use the Layouts, first you have to create Layout Views. The Layout Views behave exactly the same as regular views; therefore, you can apply any functionality to them, such as animations, effects, or view scripts.